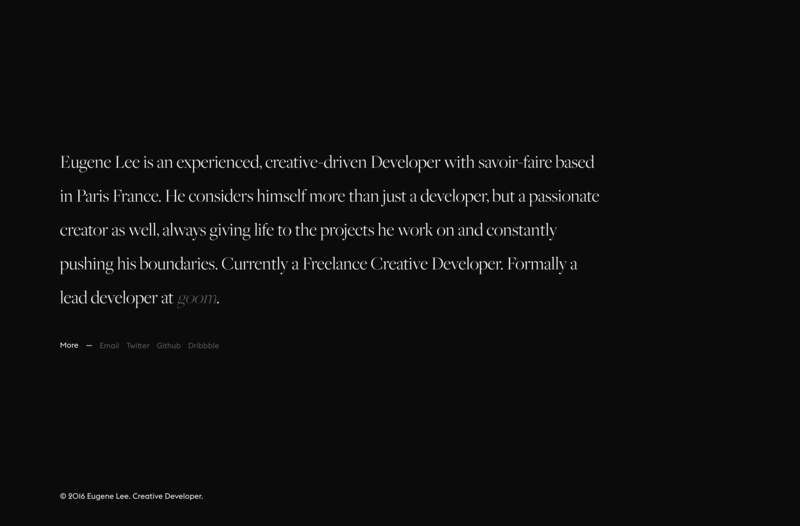 Lovely minimal personal page for Paris-based developer, Eugene Lee. Great choice of typography, good whitespace and I love that unique link hover effect. Also check out this black text select highlight on dark background – slick! Eugene Lee is an experienced, creative-driven Developer with savoire-faire based in Paris, France.